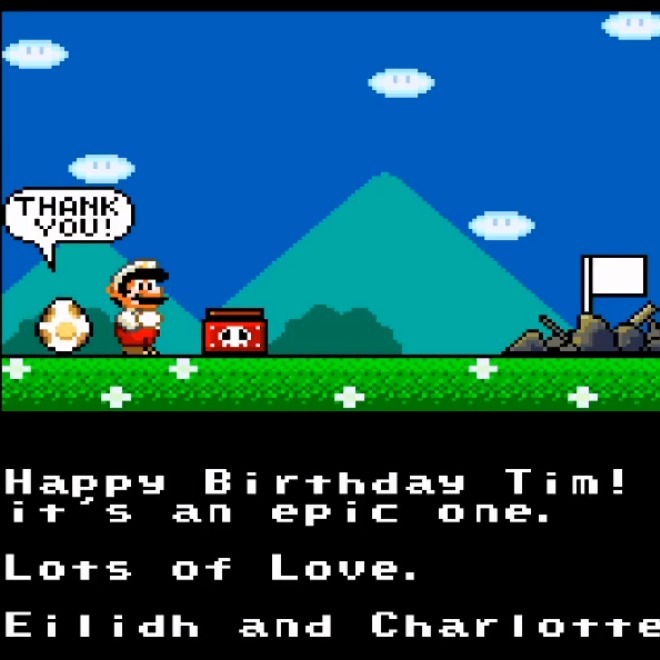 I will write your custom text in the castle cleared sequence of Super Mario World, and give you an HD video (1280x720, in avi, mov, mpg or mp4 format) of it. I can record or not the whole previous boss fight as well. I cannot write german characters, nor accents like á,ó,ú, etc. - For $5 I'll upload to youtube as a hidden video and give you the link. I offer as well a gig to write your message on the original Super Mario Bros. Check it out in my profile!